LAS VEGAS – August 15, 2017 – Just in time for football season, Rampart Casino will unveil its newest property renovation project – Rampart Casino Race & Sports Book. The newly constructed space, which replaced JC’s Irish Pub, will span nearly 6,000 square feet just off the main casino floor, and boast 126 seats, including 55 private carrels for race bettors. 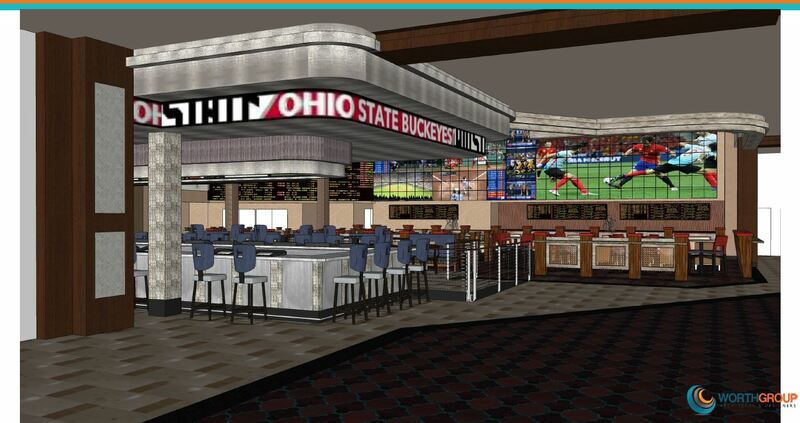 The Race & Sports Book will also be home to a new Race & Sports Bar – a 50 person-capacity bar and lounge featuring 10 bar-top gaming machines and plenty of televisions surrounding the bar for fans to keep up with all the action. Visual technology will greet guests from the moment they walk towards the Race & Sports Book with an expansive electronic ticker that runs through the bar and lounge, giving fans constant updates on sporting news. The focal point of the main sports book is a more than 50-foot customizable LED screen which can be split to show multiple games, events, and programmed messaging. The sports book will additionally house 80 HD televisions throughout the venue, including nine 60 inch monitors. Just to the side of the LED screen, technology will continue with the Odds board updating in real time. Sports fans can celebrate the grand opening of Rampart Casino Race & Sports Book on Wednesday, Sept. 6 at 6 p.m. The party is free and open to the public 21 and older. Guests will receive a free commemorative t-shirt and will toast the opening with a glass of champagne and celebratory cake, while supplies last.